Soeren Stark who has been head of operations at Lufthansa Cargo since 2016 is to take up the position of COO at Lufthansa Technik in January 2019. 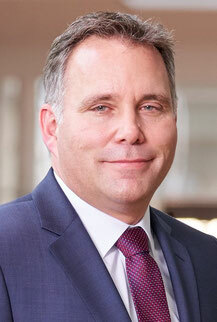 Mr Stark will be succeeded by Harald Gloy as Board Member Operations at Lufthansa Cargo. Mr Gloy moves over to LH Cargo from Lufthansa Technik where he has been in charge of global components services. He has held various management positions at LH Technik in the area of engine and aircraft base maintenance. In his new position Harald Gloy will have the responsibility for handling in Frankfurt, Munich and the Lufthansa Cargo Service Center, along with Global Handling Management, Flight Operations & Transport Management and Security. Mr Gloy who studied Industrial Engineering in Berlin and Arizona started his career with Lufthansa Technik in 2003 and in 2006 he moved to Hamburg to head the carrier’s Aircraft Overhaul and Modification unit. Amazon Air continues to move ahead at high speed with their own freighter fleet. It’s just a few years back that Amazon made it known that they would have their own fleet of B767 freighters which are in the meantime operated by Atlas Air and the Air Transport Services Group (ATSG). Mid-last week Amazon Air took delivery of the 40th and last ordered freighter at a ceremony held in Long Beach, California and attended by Amazon founder Jeff Bezos. 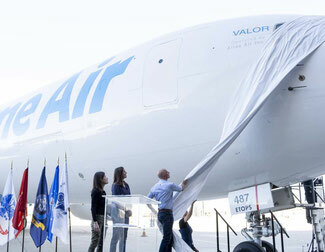 The B767-300F, which has been named ‘Valor’ (the Latin word for Strength), in honour of the 18,000 military veterans, their spouses and citizen soldiers that work for Amazon, is the 20th aircraft now being operated for Amazon Air by Atlas Air Worldwide Holdings (AAWW) and is in turn leased by AAWW’s Titan Aviation leasing unit. Amazon’s other 20 B767Fs are operated by ATI Airlines and ABX Air, both of which are ATSG daughter companies. Paris-based Worldwide Flight Services (WFS) has appointed ex-Emirates Cargo veteran Duncan Watson as their new Vice President Group Commercial Cargo. Mr Watson will be based at the company HQ in Roissy, Paris and reports directly to Barry Nassberg, WFS Group Chief Commercial Officer. 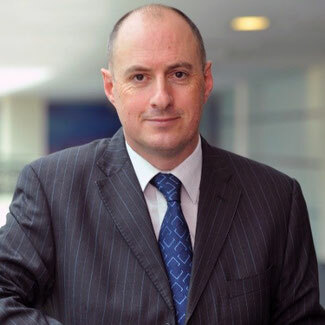 Duncan Watson is no stranger to the world of air cargo, having held the position for eleven years as Vice President, Cargo Commercial Operations for Emirates Airlines. He was responsible for Emirates cargo and commercial operations throughout the Americas, Africa and the Middle East. Before joining Emirates, Watson spent 18 years at DHL where he held various commercial management responsibilities. Moscow-based Volga-Dnepr Airlines which has specialised itself in the transport of very heavy and bulky shipments has made its own small contribution to the European space programme. 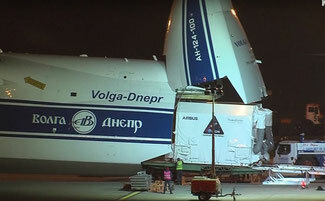 Along with their partner Bollore Logistics, Volga-Dnepr moved a 14-ton European Space Module (ESM) on board one of their giant Antonov AN-124 freighters from Bremen Airport in Germany to Titusville, USA. There, the module which had to be transported on the AN-124 in a special container which was designed to maintain precise temperature and pressure conditions, will be installed into an Orion spacecraft for testing before the first unmanned Orion mission which is planned to take place in 2020. The 14-ton module will provide the Orion spacecraft with propulsion, power, water and oxygen supply as well as thermal control. The unmanned mission in 2020 will see Orion flying more than 64,000 kilometres beyond the moon before the first manned mission which will carry astronauts further than ever into space, takes off two years later. Addis Ababa-headquartered Ethiopian Cargo and Logistics Services, a 100% daughter company of Ethiopian Airlines, has taken delivery of their eighth Boeing 777 freighter. Ethiopian Cargo will eventually operate a fleet of nineteen freighters and is already Africa’s largest air cargo operator with services to many airports within and outside of Africa. Last year Ethiopian Cargo opened the first stage of their new air cargo hub at Addis Ababa. This is now capable of handling up to 600,000 tons per annum and there are firm plans in the pipeline to expand this to over 820,000 tons. The airline has created a fifteen-year vision growth plan which sees it eventually operating to almost sixty destinations and generating cargo revenues in the region of US$2 billion each year. Budapest Airport’s management has invested much effort and finances into updating and expanding Budapest Airport as a regional air cargo hub. New cargo facilities are being built which are meant to attract more airlines to the Hungarian capital. 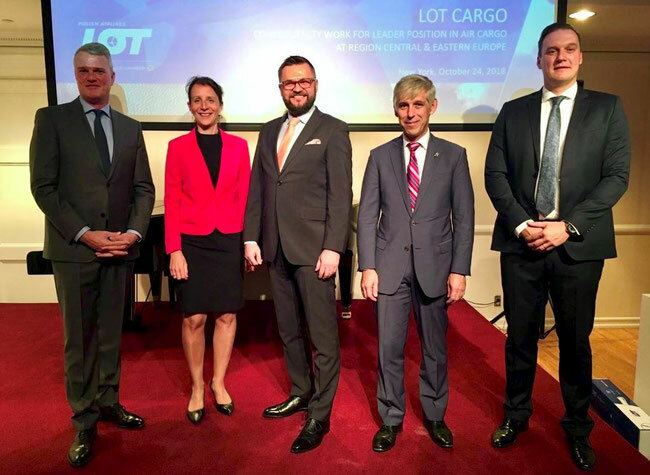 Together with LOT Polish Airlines, Budapest Airport recently held a roadshow in New York to promote a year-round service operated by LOT from Budapest to New York and Chicago using LOT’s Boeing 787 and 767 passenger aircraft. They state that there will be twelve tons of air cargo capacity available on each flight. During the USA roadshow the emphasis was placed on Budapest’s geographical position as an East European air cargo hub and the investment being undertaken by the authorities in Hungary to firmly place BUD on the air cargo map. Tianjin Air Cargo which belongs to the large Chinese HNA Group and which started operations last September, operates with a fleet of three Boeing 737 freighters on scheduled services between Tianjin and Shenzhen. An agreement has been reached with China’s large online retail giant, JD.com which sees Tianjin Air Cargo allocating one of their B737Fs to JD.com for six weekly round-trip rotations between Tianjin and Guangzhou carrying the online retailer’s shipments. Both companies state that there are plans to extend the cooperation with the addition of further routes within China.